Check out these great Boca Raton real estate listings or scroll down to read about Boca Raton, view demographics and learn about Boca Raton schools. Call (561) 322-3330 to speak to a Boca Raton realtor now! Check out the latest Boca Raton statistics available, including crime rates, cost comparisons and population growth. Call (561) 322-3330 to speak to a Boca Raton realtor and specialist now. Boca Raton is located in the southernmost part of Palm Beach county. It boarders Broward county. It is north of Deerfield Beach and south of Delray Beach. Boca Raton is home to Florida Atlantic University, the Morikami Museum and Japanese Gardens, the National Cartoon Museum, and numerous parks, shops and restaurants. It originally appeared on Spanish maps as "Boca de Ratones." The first known occupant was TM Rickards. In 1895, he lived in a house made of driftwood on the east side of the East Coast Canal, south of what is now the Palmetto Park Road bridge. 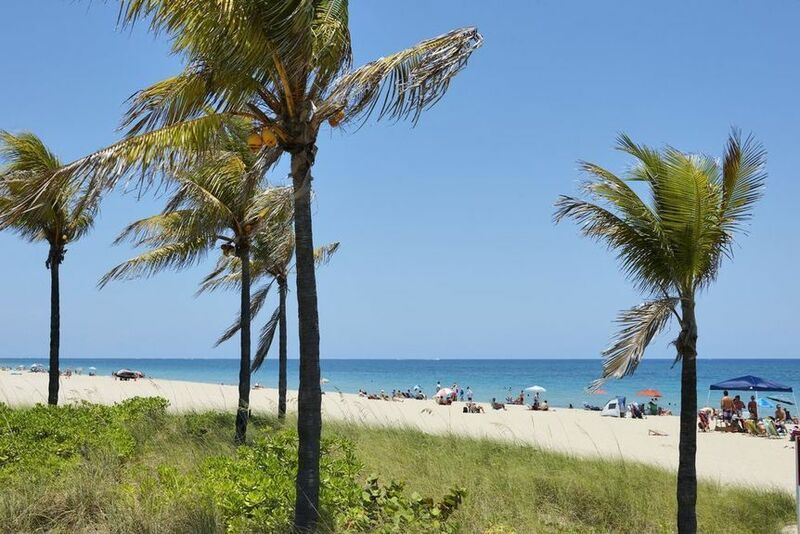 Boca Raton grew in popularity during the Florida land boom in the 1920's. It was incorporated in May of 1925. Addison Mizner's Ritz-Carlton Cloister Inn was built in 1926. It is now know as the world-famous Boca Resort & Club. The Resort's pink tower that can be seen for miles was added in 1969. Most of the area was used as an Army Air Force base during World War II. The current airport's runway number 5/23 was part of the original airport. Most of the grounds of Florida Atlantic University (FAU) are are also former airport grounds. In fact, most of FAU's parking areas were runways. After the war, Boca Raton became home to International Business Machines Corporation (IBM). IBM built a huge self-sustaining complex in the late 1960's and early 1970's. After they relocated to North Carolina in the late 1980's, the complex was eventually sold to T-REX Management Consortium. T-REX converted it to the business/research park it is today. The actual municipality only consists of about 29 square miles. What is referred to as Boca Raton is a much larger area. It consists of surrounding areas from unincorporated Palm Beach County and stretches as far west as the Florida Everglades. It is a great place to visit and a wonderful place to love. Popular parks include Sugar Sand Park, Meadows Park, Memorial Park and Lake Wyman Park. Beachfront parks included Gumbo Limbo Nature Center and Patch Reef Park. Popular centers are Royal Palm Plaza, Mizner Park and the Town Center Mall. Call (561) 322-3330 to speak to a Boca Raton realtor and specialist about Boca Raton homes for sale, commercial and investment property, Boca Raton real estate and rental apartments or scroll down to learn about Boca Raton schools, statistics and demographics. Use the links below to explore Boca Raton homes for sale and real estate in these great Boca Raton communities or call (561) 322-3330 to speak with an Boca Raton realtor. Our professional RE/MAX realtors are standing by waiting to help you. Use the links above to view homes for sale in these Boca Raton communities or call (561) 322-3330 to speak with a Boca Raton realtor and specialist. A professional RE/MAX realtor is standing by waiting to help you. Learn more about Boca Raton schools, complete with school ratings and contact information.